How are government tax policies for mining companies impacting production? Emerson’s Juan Carlos Bravo of the Metals and Mining industry, analyses this question for the country of Mexico. Under the leadership of President Enrique Peña Nieto, Mexico is pushing through a series of economic reforms in hopes of improving the economy. These reforms range all the way from adding taxes to fast food to combat obesity, to opening the countries oil industry to private investment—something that has been taboo for decades and prohibited by the constitution. Unfortunately, these changes also includes a new 7.5% tax on mining firms’ earnings before interest, taxes, depreciation and amortization (EBITDA)—and an additional 0.5% charge on the sale of gold, silver and platinum. The argument for this tax is that the country should benefit from the mining boom, since Mexican mining companies currently pay rights on concessioned land according to acreage and other fees. But, there is no royalty on metal extracted. The government says the mining tax policy of the past two decades was designed to promote development during years of low metals prices, and that current trends justify the proposed new charges. They also claim that half of the money collected will go towards development and conservation programs in mining areas. As reported by Anthony Harrup and Juan Montes on October 25 in the Wall Street Journal, foreign mining companies operating in Mexico added their voices of discontent to the host of businesses complaining about proposed new taxes, saying additional levies on mining production threaten to stop development of new projects and precipitate the closure of existing mines. The chief executives of 16 foreign mining companies published a letter in Mexican newspapers to Mr. Pena Nieto and to the Senate, calling for changes to the planned taxes. The companies said the new levies, and elimination of the deduction of exploration expenses, would raise the mining tax burden to 57% from the current 40%. They proposed lowering the new tax to 4% on operating profit instead of EBITDA—and dropping altogether the additional charge on precious metals. Also, the Mexican industry chamber says the new tax measures would reduce by as much as 60% the planned investments of $30 billion in the industry for the 2013 to 2018 period. Metals prices have fallen on average by 20% in the past year, already leading to a 30% reduction in investment in exploration. Unfortunately, it seems that this call of attention against this new mining taxes appears to have little chance of success since the Senate finance committee is expected to ratify the tax passed by the lower house without major changes, and a vote by the full Senate could come early next week. In my opinion, the Mining industry in Mexico has great potential but needs stimulus instead of inhibitors like these new taxes. 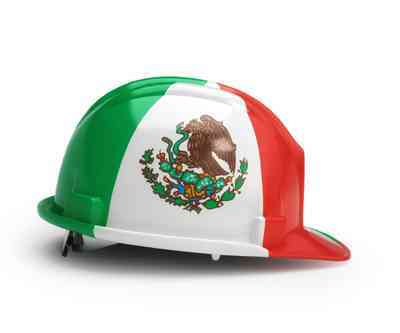 Before this announcement, Mexico was attracting a lot of investment because it had all the right conditions for mining companies to invest, such as relative political stability, affordable energy, pristine mining reserves, and work force numbers to meet demand. All these conditions created optimism and was putting Mexico ahead of other regions such as Peru and Africa for mining investment. This tax is questionable. I think that instead of a fixed tax percentage, Mexico should implement a more progressive tax scheme similar to one implemented in Chile. Where taxes are low when the price of metals are low, allowing the mining companies to continue operating and investing in future projects, and taxes are high in times of high price metals allowing the government to reap the benefits of the mining booms. Also, they should consider providing incentives to the mining companies to directly fund and execute project for development and conservation that benefit communities affected by the mining operations. In this way, they eliminate bureaucracy and potential corruption by collecting higher taxes, and at the same time incentivizing a greater bond between the community and the mining companies. Mexico is currently the world’s No. 1 silver producer with output of 142 million troy ounces in the last year, and significant producer of gold and copper as well. But its mining future may become less shiny than the minerals they extract. Aluminum Coming After Steel in Automobiles? Posted Monday, October 28th, 2013 under Metals, Mining, Minerals.